“I never thought that my son, Vaseem's ability to read would bring him so much sadness. I never wanted him to know that he has cancer, but sadly he can read reports. Knowing he has a deadly disease has left him numb. He has always been the closest to me. 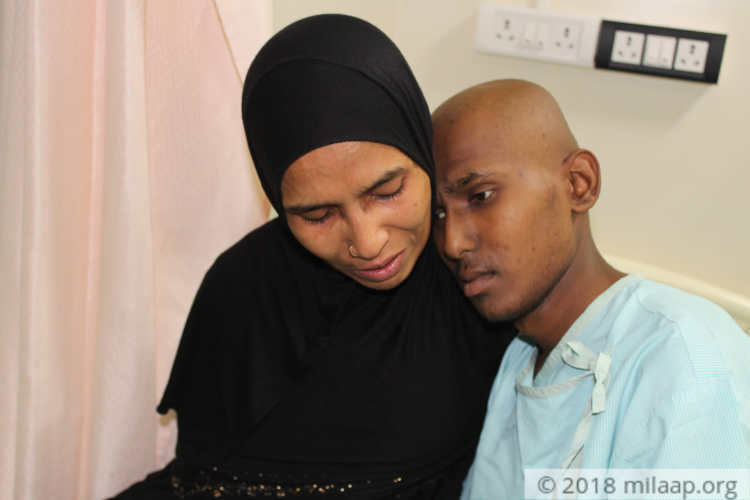 Whenever in pain, I was the first one he would reach out to, but this time even I am incapable of taking away his pain,” Kausar, Vaseem’s mother. After completing his higher secondary exams, Vaseem suddenly started complaining of severe leg pain. The parents thought that he must have fallen down while playing and took him for an X-ray. The reports didn’t indicate an injury. 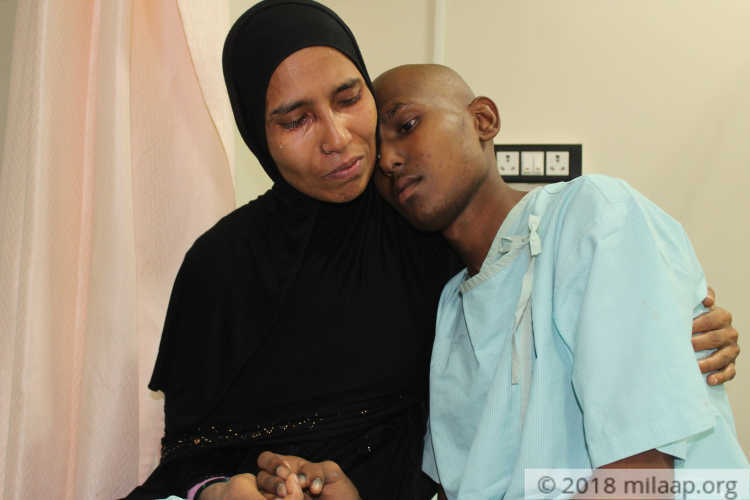 Kausar and Zubair were shattered to know that their child has osteosarcoma, a severe form of bone cancer. Vaseem’s twin brother, Fahim has already started working in a small garage so that he can save his brother. Fahim is in the village and has to travel 15 kms to see his brother. He saves up money to see Vaseem. He loved playing football so much but he can't so that anymore; all he’s worried about is saving his brother. Zubair works as a vendor and somehow manages to earn Rs 200 per day. Although they could never afford luxury, Zubair’s family never complained of anything. 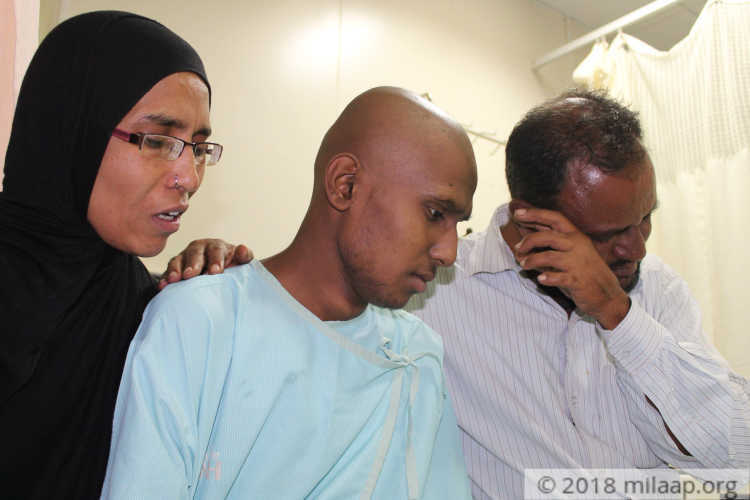 He never thought that his son who had a bright future would be battling for his life against cancer. Although spending a few lakhs is simply out of his reach, he is not ready to let cancer take his son away. 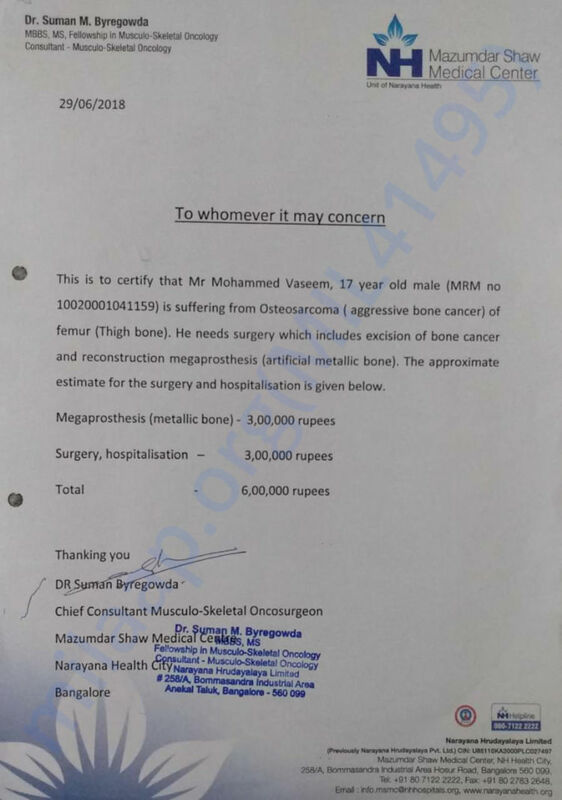 17-year-old Vaseem is suffering from a severe form of bone cancer. The only way to save him now is a surgery. 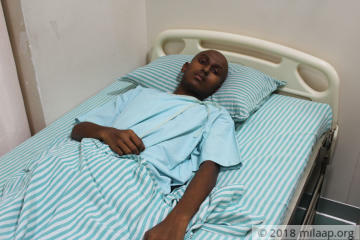 Without this surgery, cancer will spread and kill him. His parents have already spent Rs 30,000 which he had to beg and borrow from his relatives. 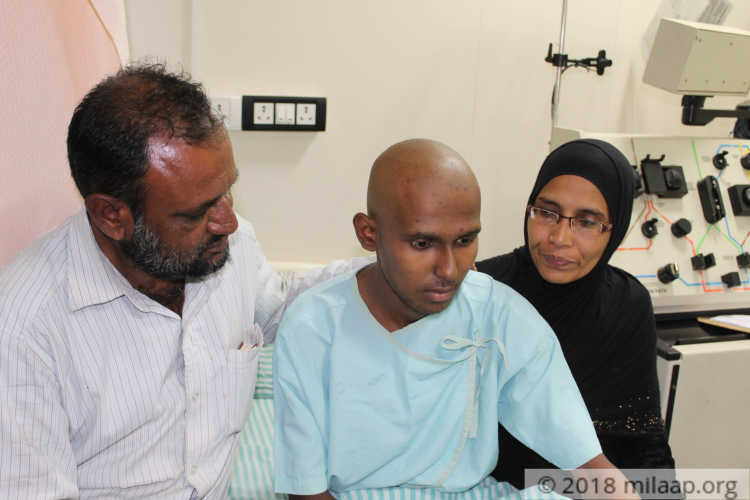 The cost required to save him now is Rs 6 lakhs and his parents have nothing left to save him. Vaseem can no longer walk much. He can see his future dying out and is suffering in silence.